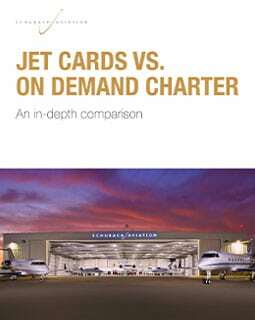 fuel and keeping the cost more economical than other jets in its class. A very light jet developed by Brazilian aircraft manufacturer Embraer, the Embraer Phenom 100 delivers on all fronts, with clean, simple lines that create a feeling of lightness, serenity and space. The jet’s unique design is the result of a partnership with BMW DesignworksUSA, which sets high standards for quality and taste. Short runway capability means it can fly into smaller airports allowing customers to arrive closer and faster to their destinations. With a larger, more comfortable cabin and the largest baggage compartment in its class, the Phenom 100 ensures that customers get to wherever they need to go in unsurpassed comfort and style. Amenities include a rear private lavatory, refreshment center, stowage space, premium seating and the largest windows in its class.